Not only does Jaen have an ancient and fascinating history, but the castle that towers over its winding streets offers some of the most stunning views to be had in Andalucia. 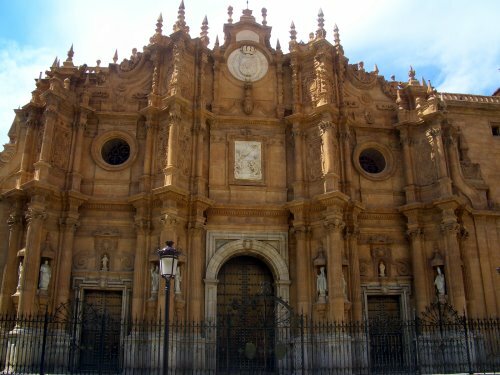 Just five hours drive from Javea, Jaen could have been located in a different country, well worth a visit. Next stop, Cordoba. Founded by the Romans, it has stategic importance, as it is the highest navigable point of the Guadalquivir River, it became a port city of great importance, used for shipping Spanish olive oil, wine and grain wheat back to Rome. 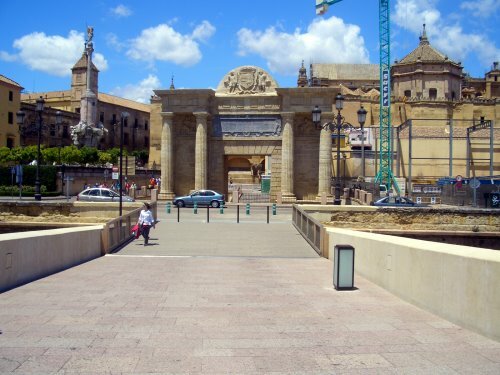 The Romans built the stone bridge crossing the river, now restored and called “El Puente Romano”. 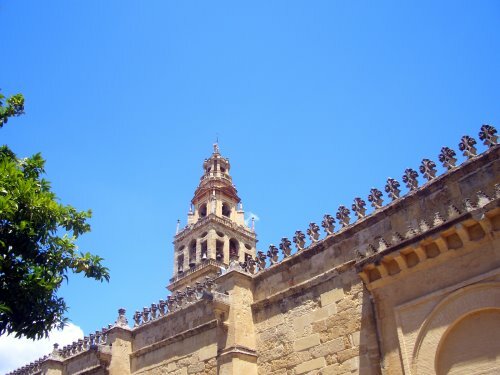 But Cordoba’s hour of glory was when it became the capital of the Moorish kingdom of El-Andalus, this was when work began on the Great Mosque, or “Mezquita”, after several centuries of re-design and extention, it became one of the largest mosques in all of Islam. 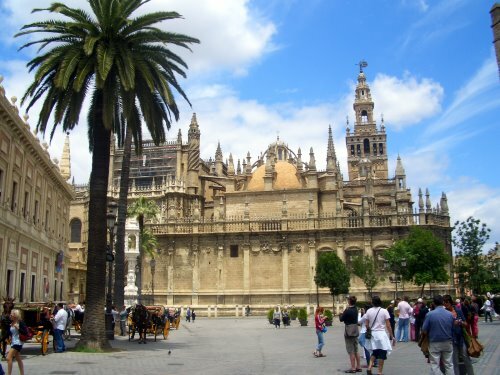 Sevilla lies on the banks of the Guadalquivir and is one of the largest historical centres in Europe, La Giralda, the cathedral is one of the largest in Christen world, and the Alczar Palace. 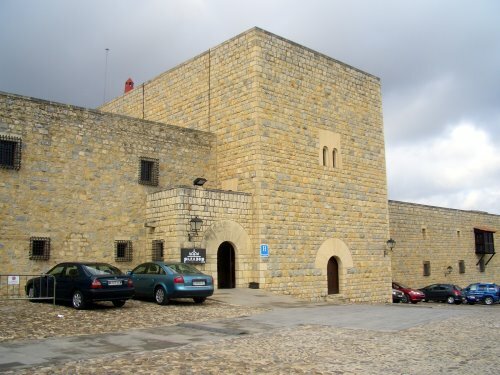 other places of interest are the Casa de Pilatos, Torre del Oro, the Town Hall, Archive of the Indies and where the historical records of the American continent are kept, the Fine Arts Museum is the second largest picture gallery in Spain. 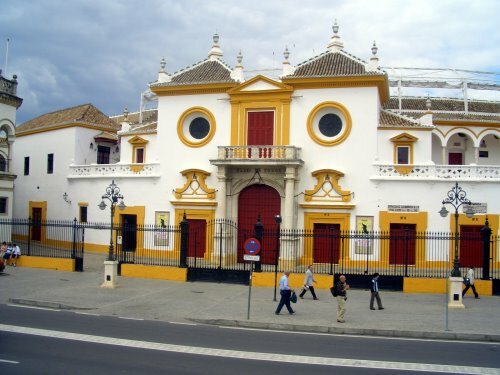 It has hosted two international exhibitions (1929 and 1992) and is the administrative capital of Andalucia. 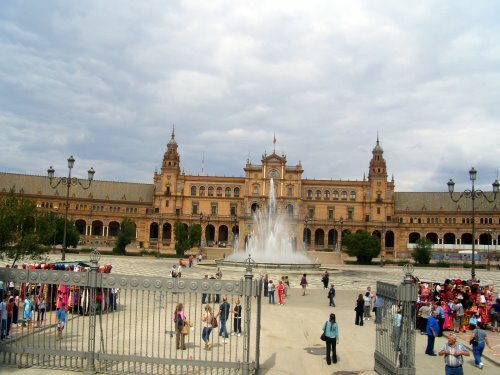 The quarter of Triana on the other side of the river, La Macarena, Santa Cruz and San Bartolom, the street of Las Sierpes, plus La Maestranza bullring, Maria Luisa park and the riverside walks are all worth a visit. 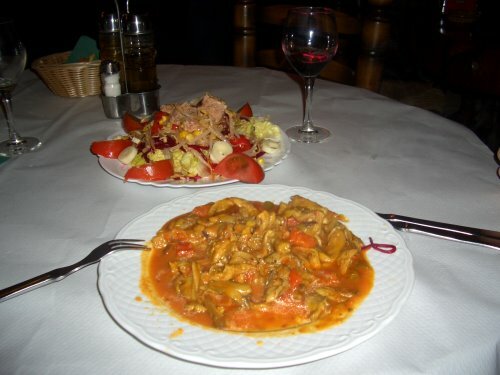 The Sevillians enjoy their annual Feria de Abril, a week-long party of drink, food and dance, 24/7. in a thousand tents. The men parade on their fine horses and the women dance in beutiful coloured dresses. Immediately before that is Holy Week, Semana Santa, a religious festival where hooded penitents march In long processions followed by huge baroque floats on which sit Images of the Virgin or Christ. Both of these events are well worth seeing. 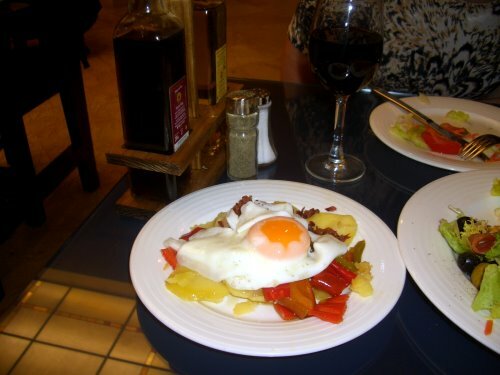 During our return trip to Javea, we spotted a town worth visiting called Quadix. 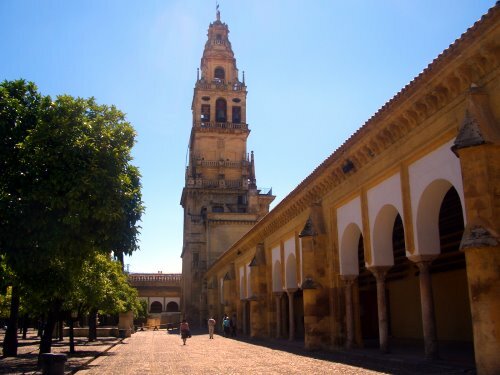 The cathedral town of Gaudix is well off the beaten path, in the eastern confines of the Province of Granada, a large, bustling country town with a personality all of its own. 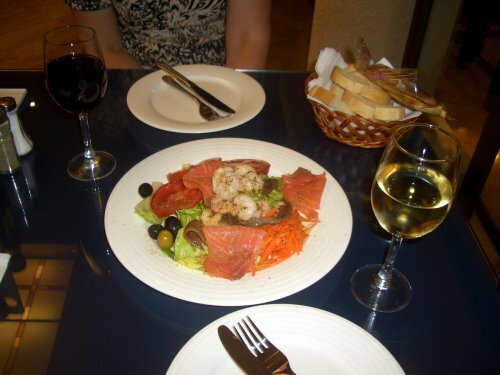 Its history dates back to Phoenician and Roman times it also played a major role in the Reconquest. 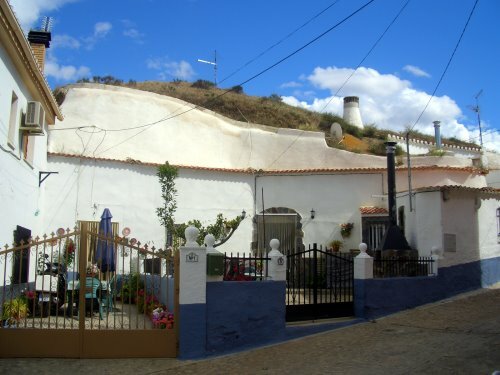 The most interesting feature of Guadix and the surrounding area is that half of the inhabitants, live underground, in the southern part of the town, in cave houses. The jagged ochre terrain and the whitewashed chimneys and doors of the caves contrast dramatically with the snow-covered peaks of the Sierra Nevada.. The cave district is signposted on the main street of the town as the “Barrio Troglodyte”. There are over 2,000 cave houses situated here, which maintain a year round inside temperature of 19c. You are invited to look insde, by the owners, for a return of a couple of euros. They are very easy to build and the cost of a cave house is considerably less than a typical house. 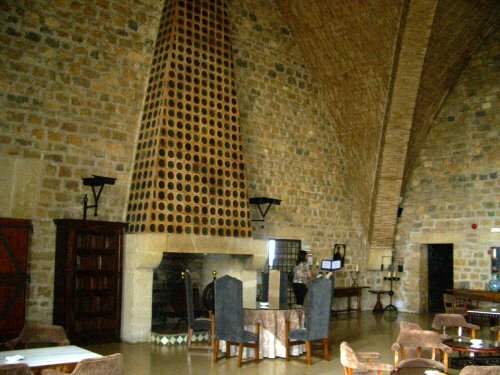 30,000 euros will buy you a nice 3 bedroom, 2 bathroom cave house in or near Quadix.